Ruth goes to a knitting club on Monday nights. I had brought some knitting with me, and we've been stitching together a little bit most days. So I went along tonight. There were some really nice projects in progress or completed. 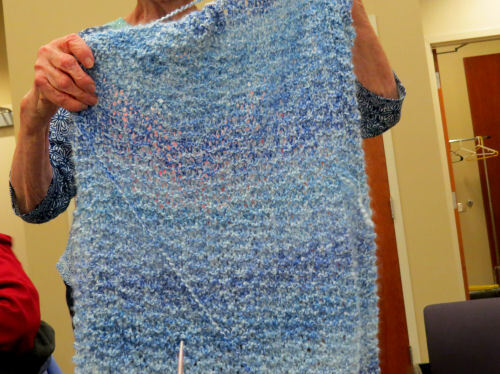 This is a sweater Ruth is working on. Lace pattern, small needles, nice work. 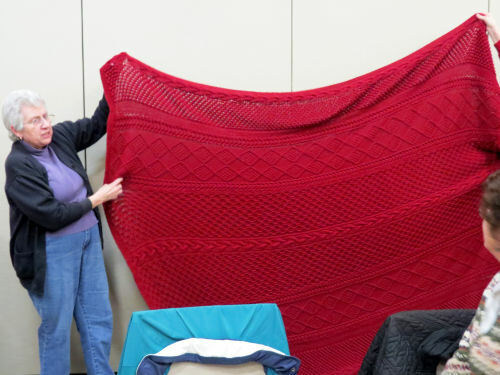 The group leader had just finished this Aran afghan. Also done very nicely. 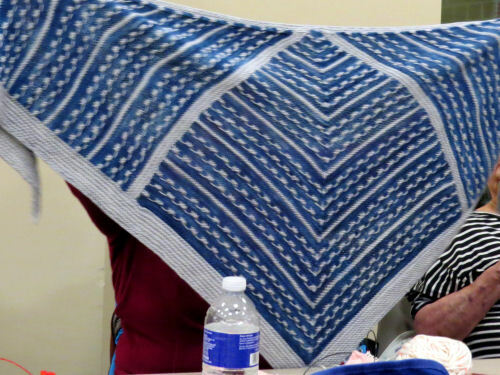 Another woman was making a prayer shawl, and even though the pattern was simple, I thought it looked very pretty. One lady does really professional quality work. This is a shawl. 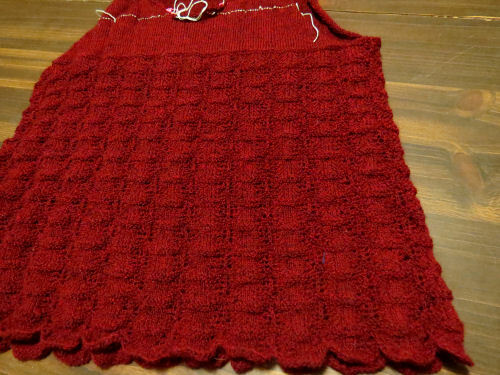 Unusual stitch and expensive yarn, coupled with a good knitter and you get beautiful items. See Where's that Other Sock? I could never get the hang of kitting. I suppose if I had tried harder I might have. There are some nice projects there.